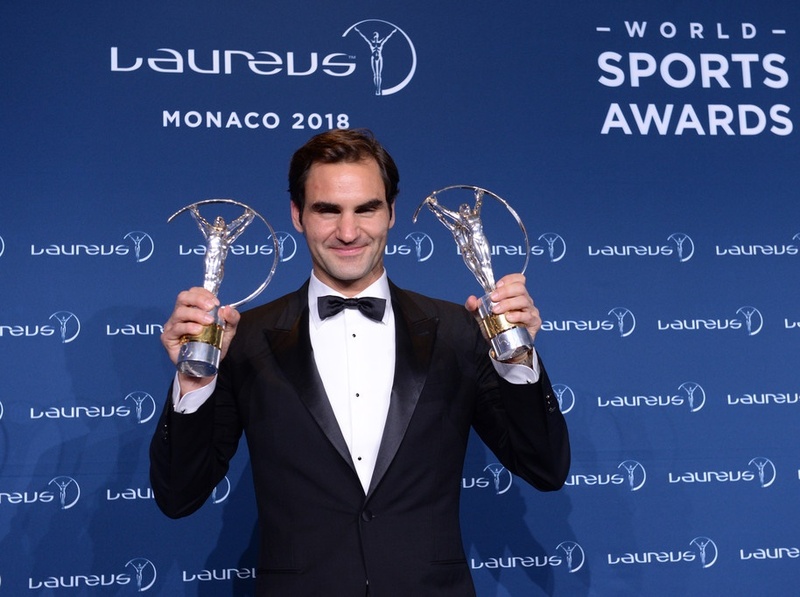 Roger Federer was honoured by the 2018 Laureus World Sports Awards on Tuesday, picking up the Sportsman of the Year and Comeback of the Year awards at the ceremony in Monaco. The Swiss tennis icon, who reclaimed the World No. 1 ranking after overcoming a knee injury and winning his 20th Grand Slam title at the Australian Open last month, fought off competition from Cristiano Ronaldo, Rafael Nadal, Mo Farah, Lewis Hamilton and Chris Froome to land the Sportsman of the Year award. 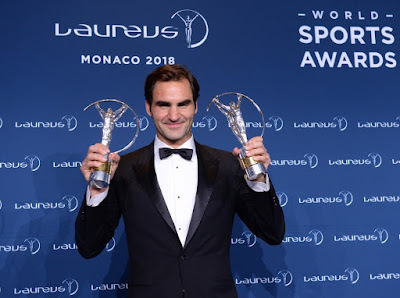 Federer's awards were his fifth and sixth since the Laureus Awards began in 2000, making him the most decorated winner in its history. "I didn't believe I would ever come back to this level," said Federer. "The year I had was something else. This means the world to me. The comebacks are always extremely emotional. Last year was a dream come true. "This is a very special moment for me. Everyone knows how highly I value my Laureus Awards, so to win another would have been wonderful, but to win two is a truly unique honour. And so unexpected. "I am delighted and I would like to thank the Laureus Academy for all their support. It was an unforgettable year for me, to come back after a very difficult 2016 and these Awards just make it even more memorable. "When I won my first Laureus Award back in 2005, if you had said I would have ended up winning six I would not have believed you. It's been an amazing ride." Following a 2016 season curtailed by knee and back problems, Federer returned in 2017 to win seven titles, including two Grand Slams and three ATP World Tour Masters 1000s in a run that laid the groundwork for his eventual return to No. 1 in the ATP Rankings earlier this month.